Author: McCall Smith, Alexander Set In . . . The latest addition to the Myths series from Canongate, now available in paperback, is a beguiling tale from the beloved author of the best-selling No. 1 Ladies’ Detective Agency. Angus is one of the earliest Celtic deities and one of the most cherished to this day. Like an even more handsome combination of Apollo and Eros, he is the god of love, youth, and beauty. Just the sight of him has made people fall in love, and he has the power to reveal a person’s true love in a dream, if asked politely. Alexander McCall Smith has turned his renowned storytelling talents to crafting irresistible stories from this ancient myth. Five exquisite contemporary fables of love lost and found unfold alongside Angus’s search for the beautiful Caer, the swan maiden he met in his dreams. 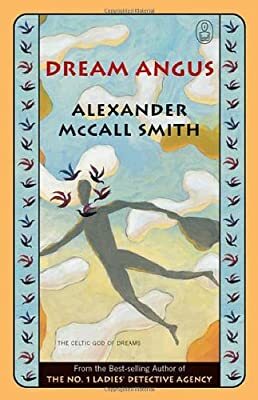 McCall Smith unites reality and dreams, today and the ancient past, mesmerizingly, leaving the reader to wonder: what is life but the pursuit of dreams?